A few weeks back The Unstuck Group released a new resource for church leaders, an eBook called Vital Signs: Meaningful Metrics That Keep a Pulse on Your Church’s Health, which was written by Tony Morgan and Ryan Stigile. Ryan serves as a Strategic Analyst for The Unstuck Group. Not sure what role a position like that has in the Church? Read on to find out! TIFFANY: Tell me how you came to be a Strategic Analyst at The Unstuck Group and about your new position at NewPointe Community Church. RYAN: I actually reached out to Tony about contributing a guest article to TonyMorganLive.com. We were both in Atlanta at the time, and he first asked if I would be interested in an internship. From there, my role grew to focus on church metrics and writing content. At NewPointe, I am the Assistant Director of Development. We have a vision to launch six more campuses over the next seven years. I serve on a team that creates new campuses and coaches our staff. RYAN: I grew up a pastor’s kid. Even then, I often found myself wanting to develop solutions for our church. When I went off to college, I found myself in a town full of churches that seemed to be stuck. I couldn’t help but dream of the impact that each of those churches could make. From that time on, my passion was clear. 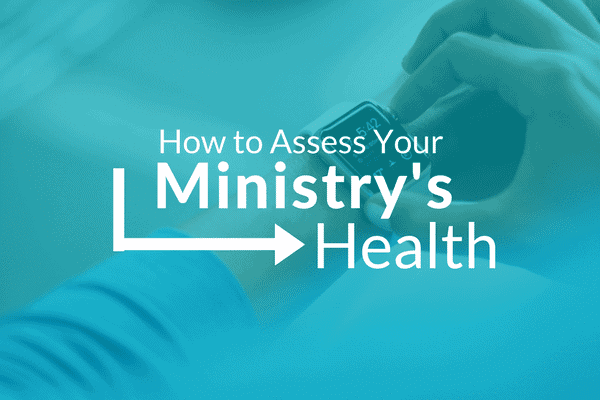 TIFFANY: Why do you believe metrics are so important for evaluating church health? RYAN: Metrics provide an unbiased perspective of a church’s health. I have seen leaders of the same church disagree on how well they are performing in very important areas, like giving, reaching the lost or serving. Everyone has his or her own vantage point that shapes opinion. Metrics serve as an objective “third-party,” bringing everyone to the same page and enabling unified direction. TIFFANY: What’s the most surprising result you’ve seen by implementing a measurement strategy? RYAN: It is amazing how well a set of measurements can tell an accurate story. When we work with churches, one of the first steps we take is to produce a metrics report. Later, when we talk with the church’s leadership team, it is amazing to see their comments line up with what the metrics already communicated to us. The metrics give leaders greater clarity and confidence to begin taking action in a specific direction. I think you are right on with the measurement metrics. I am currently working on that at our church. Apart from excel, do you have any options software or technology wise to make it easier to track your metrics?